A wolf in sheep's clothing although she at the same time offers great comfort for cruising long distances. The internal layout is optimal and elegant in mahagony. 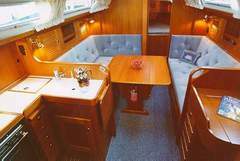 It offers plenty of stowage in all cabins and great comfort for the demanding crew. The vast 2.24 m aft cockpit is well protected from the sea by the HR typical wind screen. 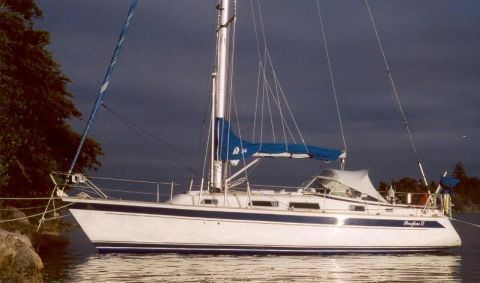 All halyard and reefing lines are controlled from the cockpit. 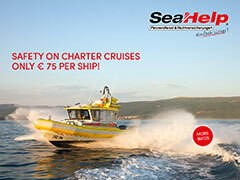 Charterperiod from end of April to middle of Oktober. Parking Facilities in Kerteminde: Free of Charge. Coffee/Tea & Restroom: Touring Guides, Wardrobe, Internet and other facilities free of Charge. Customer discount: From 2. 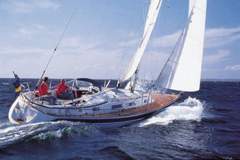 Charter with JIM Søferie. Booking: Only by contract with 25% down payment. The HR 342 is a new design that gives a little more and at the same time offers all the good values that made the HR 34 so successful. 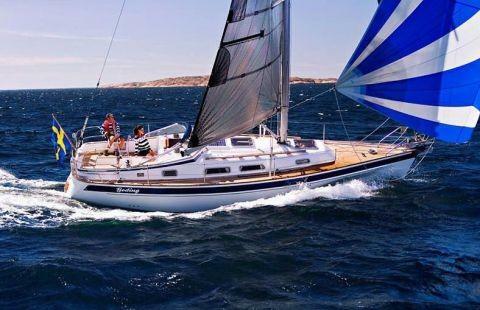 Key words such as sailing performance, elegance, comfort, fine wood work and easy handling are valid for both. The HR 342 is a new design that gives a little more and at the same time offers all the good values that made the HR 34 so successful. Key words such as sailing performance, elegance, comfort, fine wood work, easy handling w. tiller, are valid for both.